Used existing room space with laundry room at back of kitchen and small breakfast area at front of home. To see an alternate solution for clients with different needs see the Chiger project in this section of the portfolio. 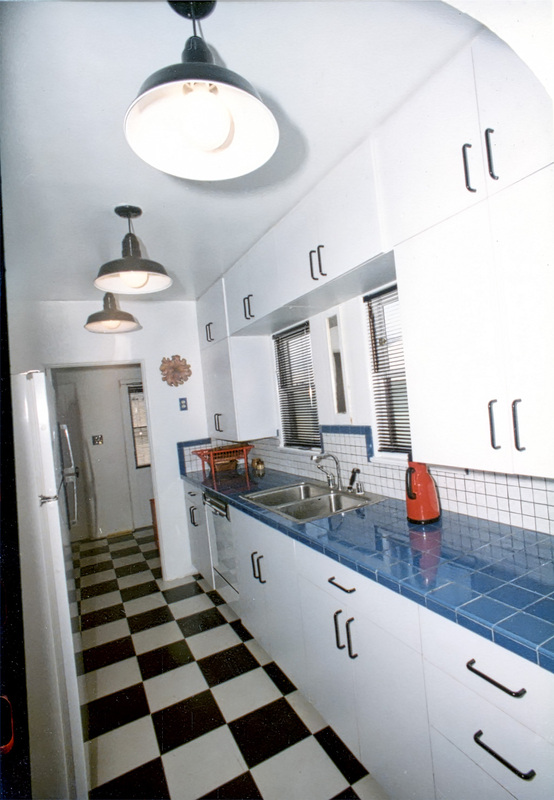 This small Kensington kitchen makeover that used commercial light fixtures to capture a distinct classic look that got this kitchen in San Diego Home & Garden Magazine. 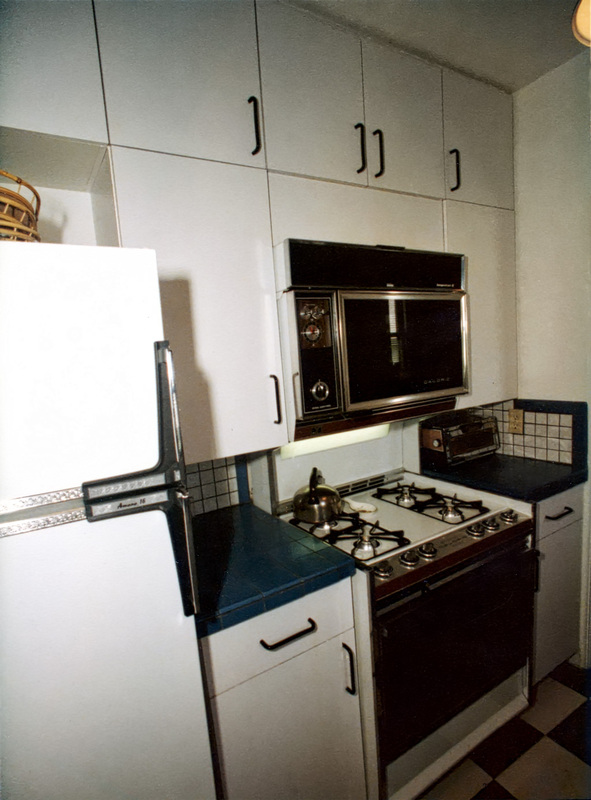 The need to add a second row of wall cabinets above the first to maximize storage in this small kitchen made it essential to carefully design the cabinet sizes so cabinet door opening was not restricted by the hanging light fixtures. 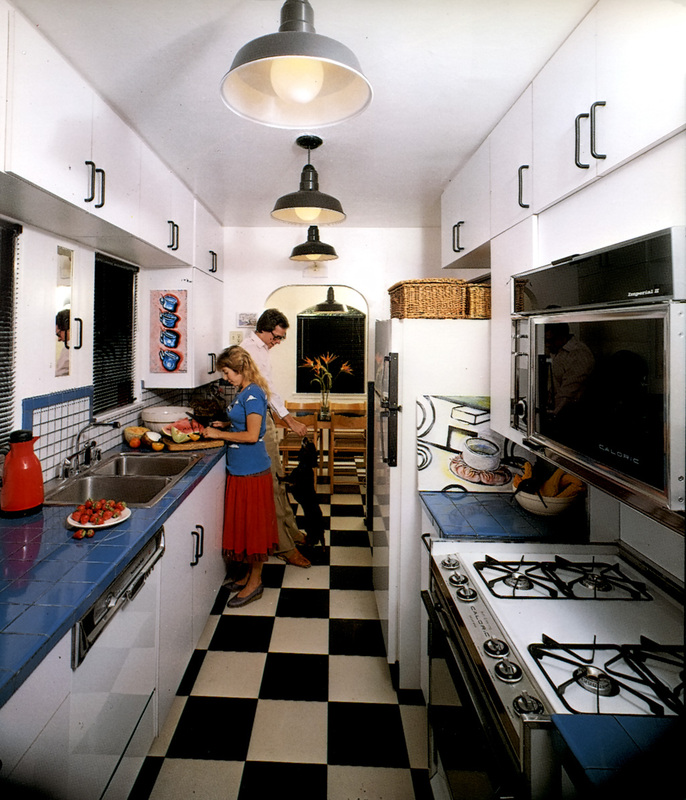 This kitchen’s original floor plan is identical to another portfolio entry, the Chiger Residence. 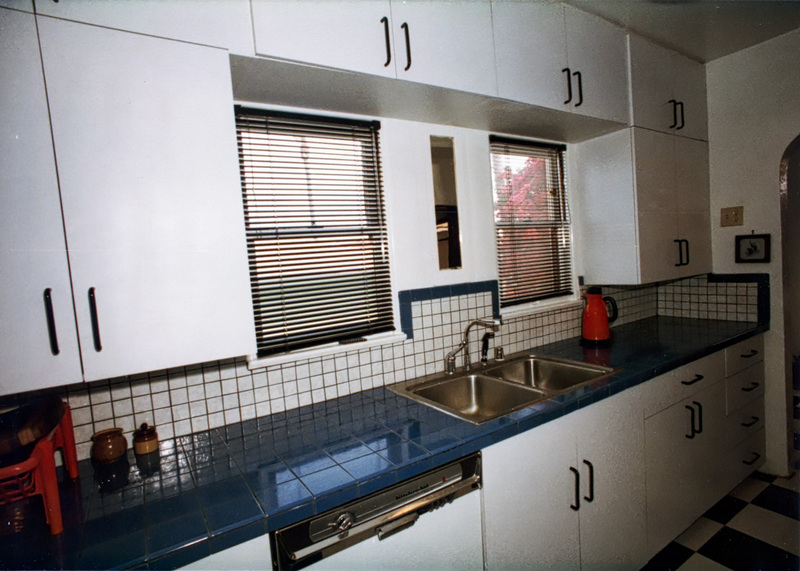 Compare the two kitchen remodels to see alternate solutions to the same space for different client needs.